ONE by one, they're coming over for the season-ending PBA Commissioner's Cup. Akeem Wright is the latest import to arrive in the country to play for Columbian Dyip in the final conference of the season. The Philadelphia native flew in last Tuesday and made the 6-foot-5 height limit for imports when measured at the league office on Friday. The 33-year-old Wright later paid a courtesy visit to Columbian Dyip board representative Bobby Rosales. The product of Kansas State is the sixth import to arrive in the country with the Commissioner's Cup playoffs still ongoing. Already in town are former Best Import awardee AZ Reid (San Miguel), Olu Ashaolu (NLEX), Henry Walker (Blackwater), Eugene Phelps (Phoenix), and Justine Brownlee (Barangay Ginebra). Wright went undrafted in the 2007 NBA draft and has spent the past decade playing in different leagues in United Arab Emirates, Saudi Arabia, Lebanon, Israel, Sweden, Finland, Spain, Ukraine, Canada, New Zealand, Argentina, and Cyprus. 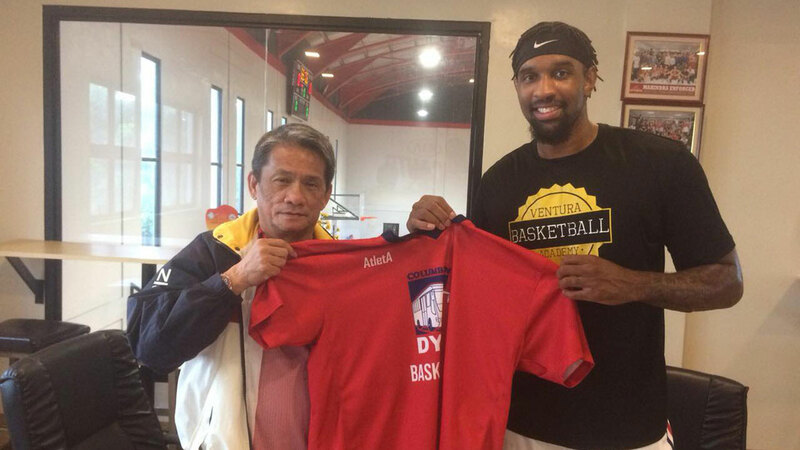 The import has began practicing with the team to be handled by new coach Johnedel Cardel. Columbian was in contention for a playoff berth in the mid-season confefence behind big import John Fields. But losses in its last two outings dampened the team's quarterfinal bid as it finished the campaign with a 4-7 record.